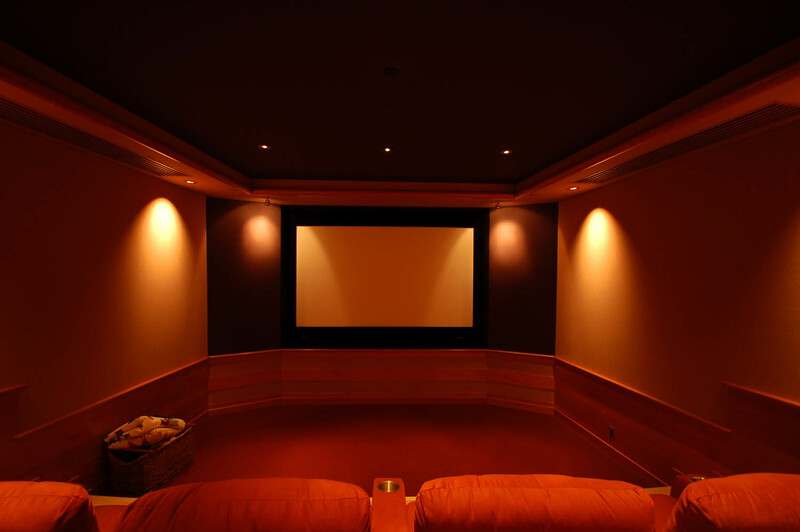 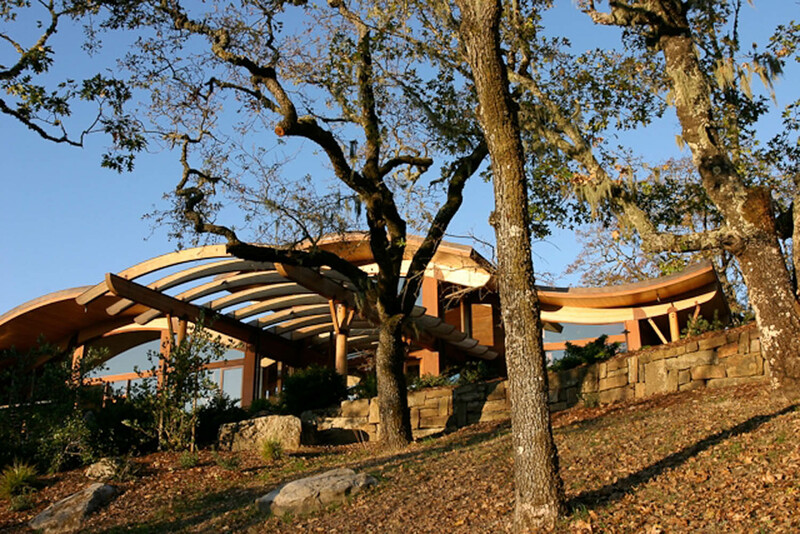 This project is located on a remote oak covered knoll. 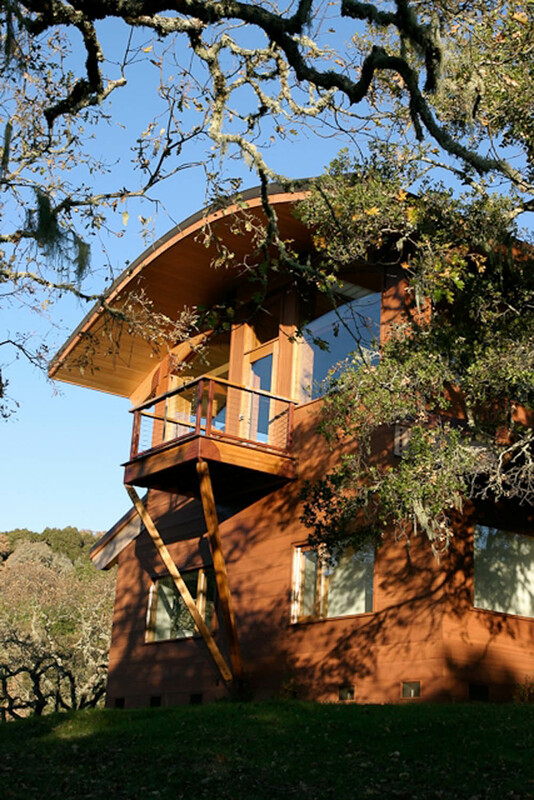 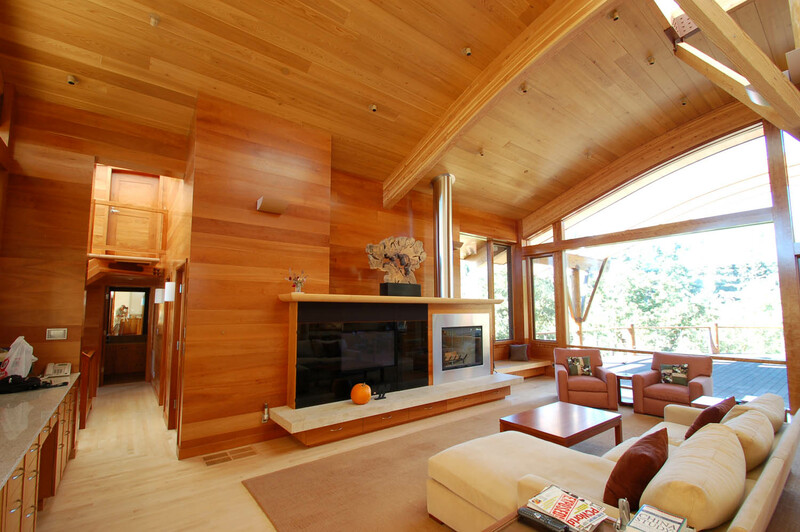 Stepping down gently to the south, the main living space and master bedroom enjoy spectacular views to the west of Skyline hill tops and the east of the Bay Area and Portola Valley. 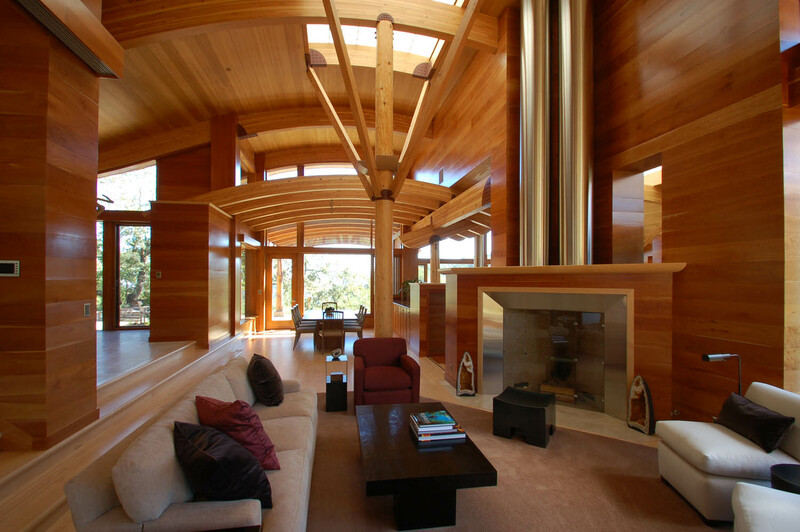 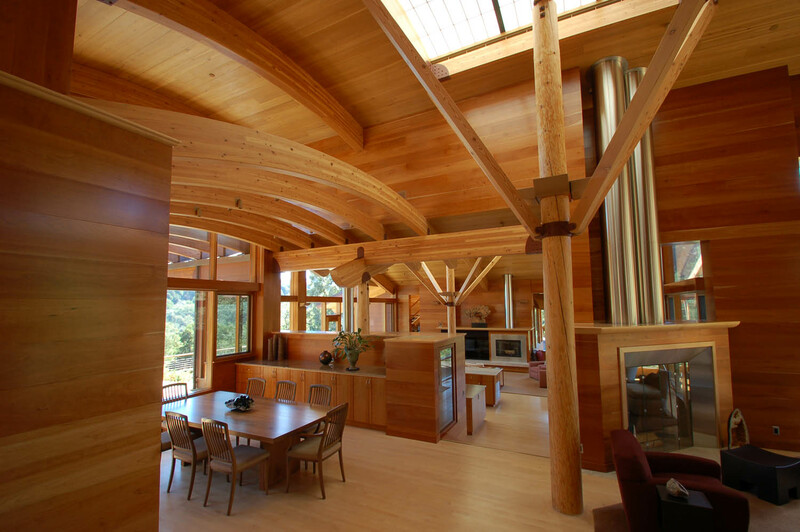 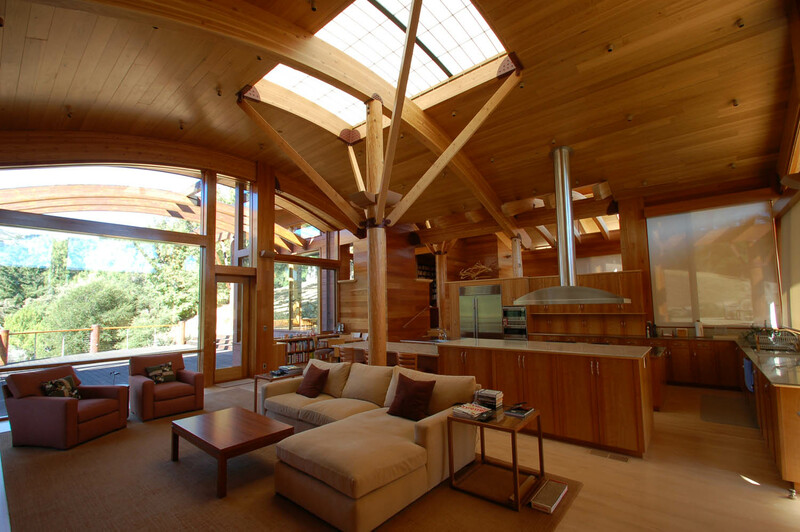 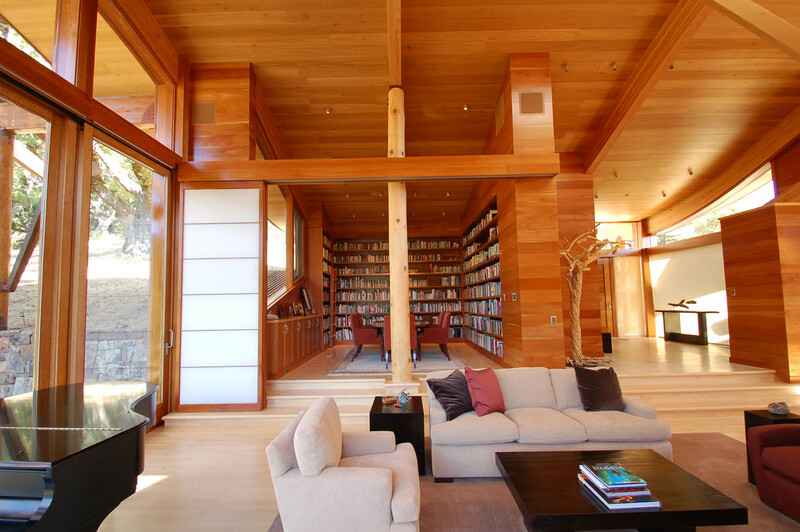 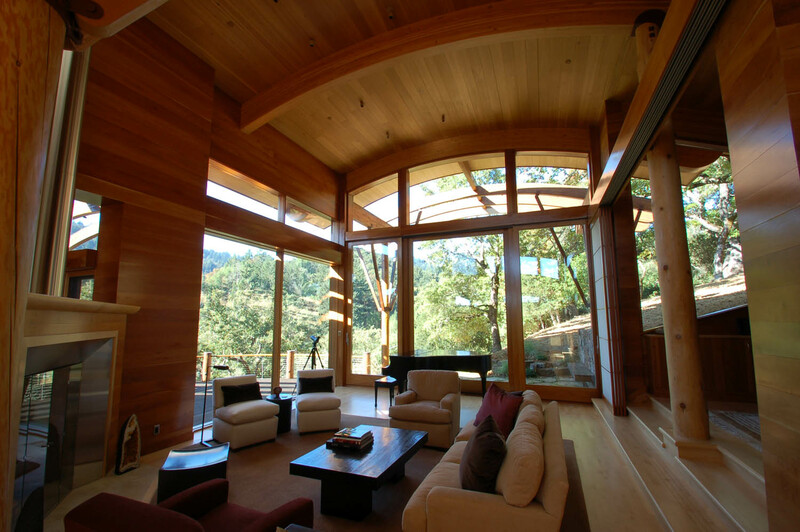 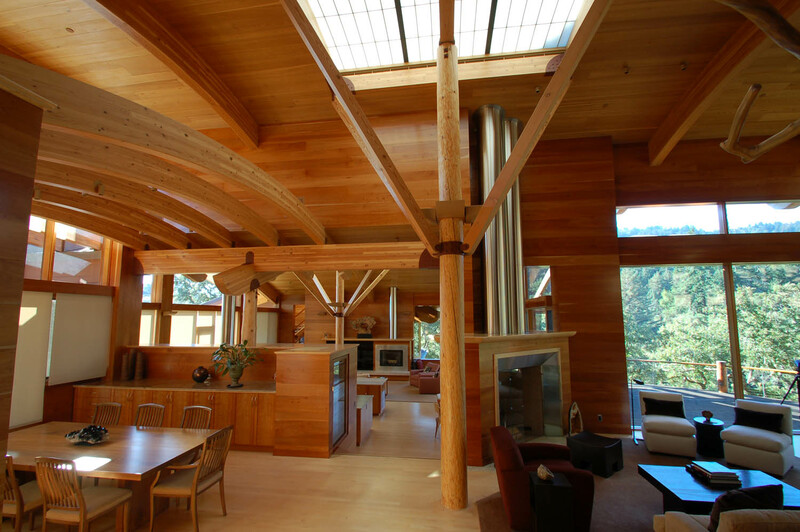 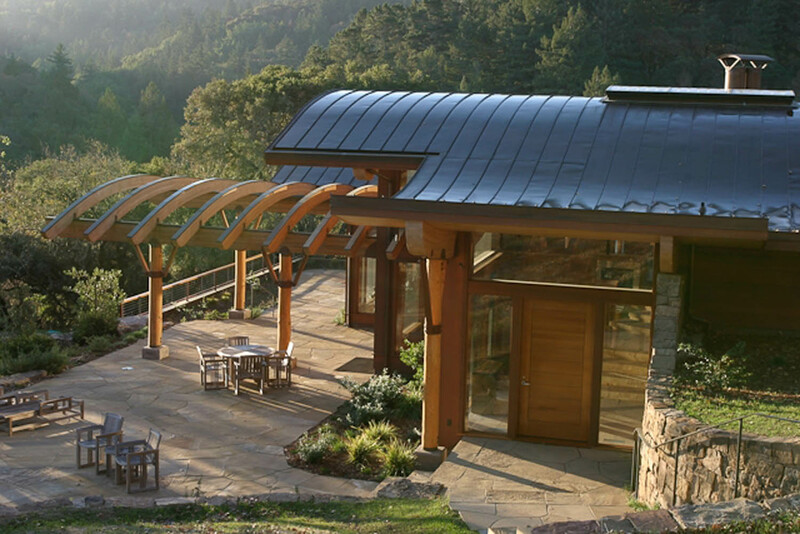 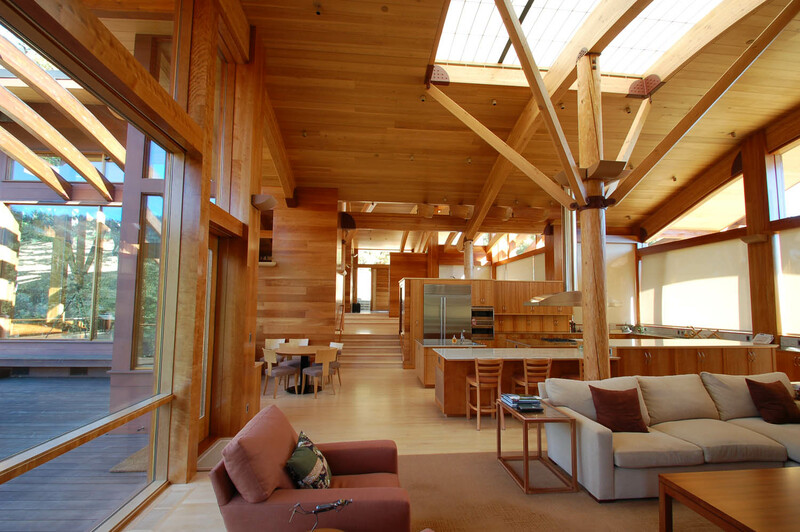 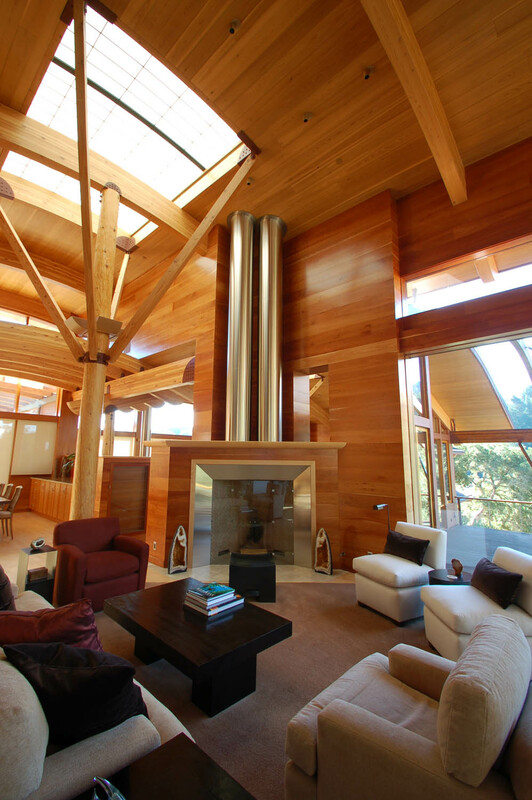 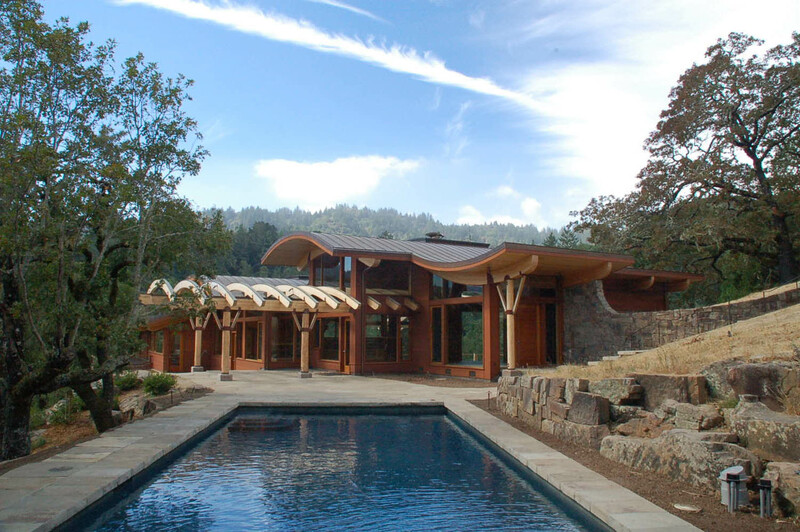 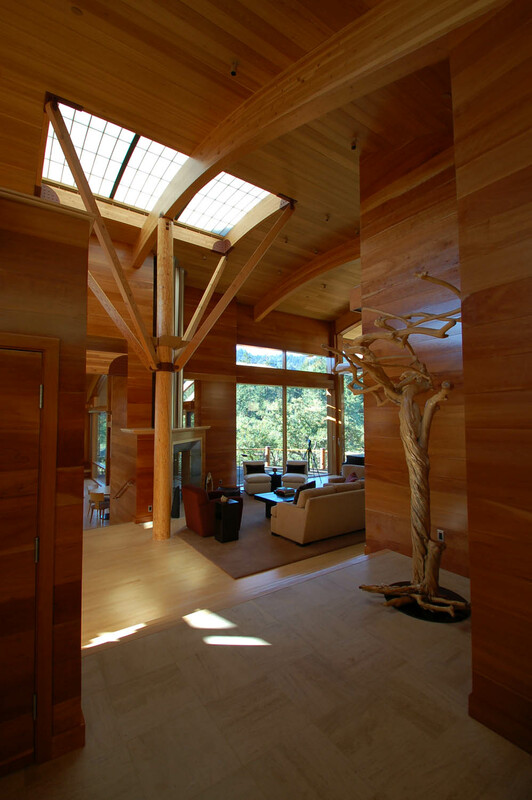 Wood poles and struts brace the curved ceiling inside and trellises outside, blending with the character of surrounding oak trees. 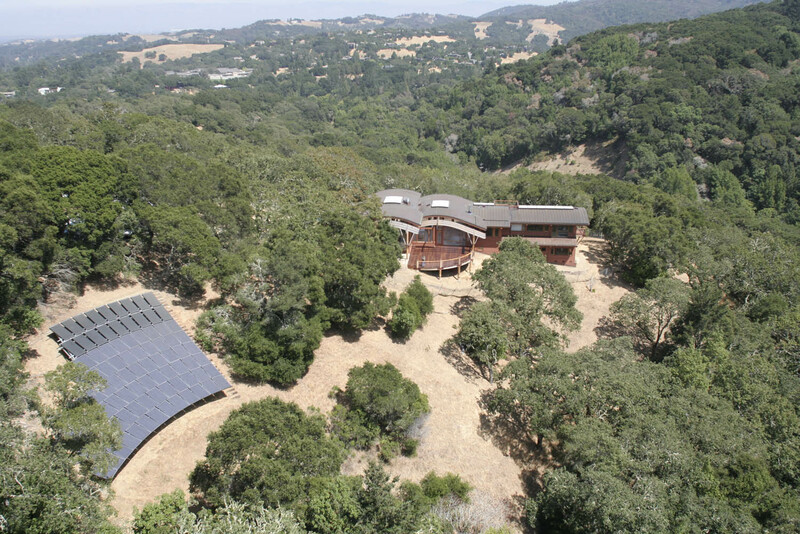 The energy efficient house utilizes photovoltaic electricity generation, solar hot water production and geoexchange supplemental heating and cooling.